Green Square Limited was established by Peter Leeper in 2000, initially as a construction and plant installation business. Having carried out many complex and challenging projects Green Square Limited gained the confidence and trust of its customers and grew progressively over the years. As a solutions provider, the company continues to benefit from repeat business and referrals. In 2008 Green Square Limited commenced the design and fabrication of its own structural steelwork and in 2014 it merged with Village Engineering Limited, an innovative mechanical engineering company led by Norman Leeper, and engaged in the design and building of materials handling and recycling systems and specialist engineering projects designed and built for a wide spectrum of industries including the wood industry, fertilizer manufacturing, glass manufacturing and glass recycling. 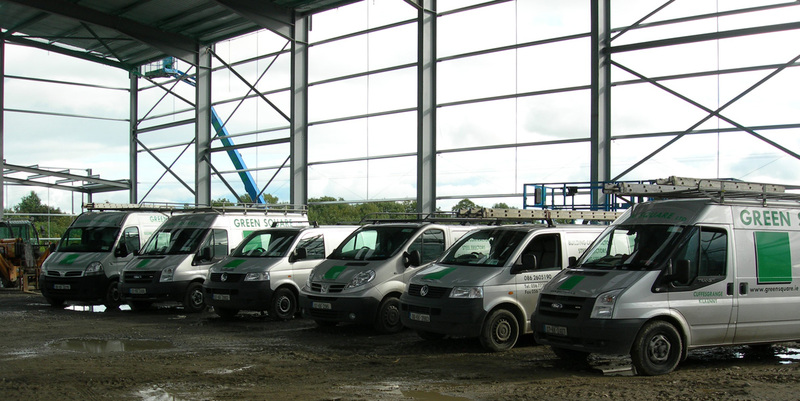 In 2014 the enlarged entity acquired a new factory premises and offices at Castlecomer Business Park and our own Design Engineers and project management team, installation and site engineers to oversee projects which can be a little as one machine or conveyor or a complete turnkey plant. Green Square Limited key resource is our ability to design engineering solutions for our customers. Combining our extensive knowledge and fifty years experience, we translate this into proposal drawings and costings for our customers. As an extension of this resource we are then able to manufacture ourselves and procure specific pieces of proprietary equipment where necessary, to form the completion of our various projects. 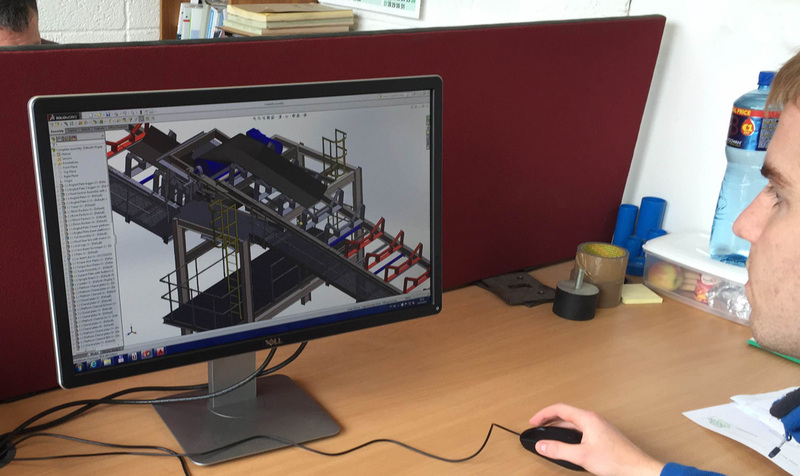 Green Square Ltd recently completed implementation of the EN 1090 Factory Production Control system for CE marking of structural steel making us fully compliant to supply fabricated structural steelwork to the marketplace. Green Square Limited, 10 Castlecomer Business Park, Kilkenny Road, Castlecomer, Co. Kilkenny, R95 HXC7, Ireland.